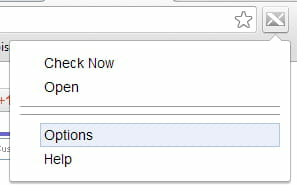 X-notifier is an extension for Google Chrome (and other browsers) that notifies you when you receive a new email. 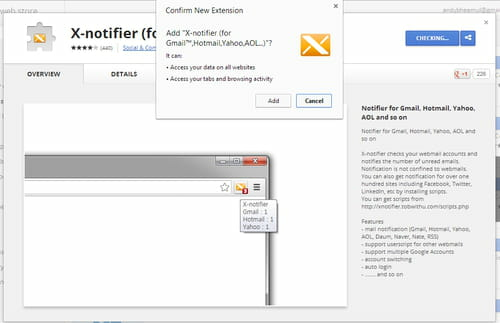 X-notifier can be configured to receive notifications for your Hotmail, Gmail, Yahoo, AOL and other accounts. The X-notifier icon will change and displays the number of emails you have in your inbox. Repeat the above steps, if you want to add another email account. Published by jak58. Latest update on October 3, 2013 at 09:07 AM by jak58. 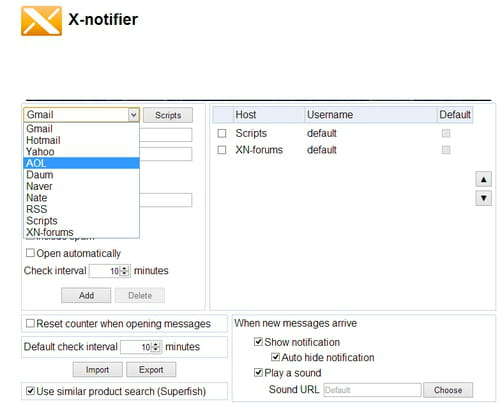 This document, titled "X-notifier - Get notifications for new emails," is available under the Creative Commons license. Any copy, reuse, or modification of the content should be sufficiently credited to CCM (https://ccm.net/).